Looking ahead at its domestic prospects, it's not easy to determine just how high Us will climb. While Get Outpushed over $176 million, Halloween finished its run with $159.3 million, though the latter was certainly a product of nostalgia and seasonal relevance. That said, one would expect Us to play closer to Get Out and push over $200 million, but how far over? On average, films that open anywhere from $65-75 million deliver a 3.36x multiplier, which would suggest a domestic performance around $236+ million, which seems like as good a bet as any right now. Rounding out the top five is Universal and DreamWorks Animation's How to Train Your Dragon: The Hidden World, dipping just -30% for a $6.5 million weekend and a domestic cume that now tops $145 million as it enters its fifth week in release. Internationally the film added another $6 million from 62 markets still in play, pushing its worldwide cume over $488 million. The film still ranks as the third largest release in the franchiseworldwide, but will soon top the original's $494.9 million globally, though the first sequel's $621.5 million global tally appears well out of reach. 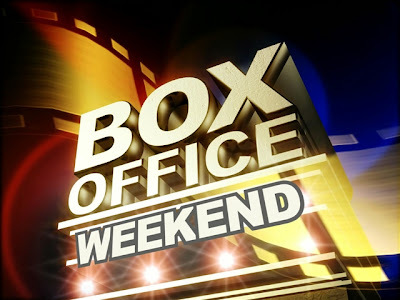 Outside the top five, A24's Gloria Bell had a strong expansion this weekend, delivering an estimated $1.8 millionfrom 654 theaters (+615) for a $2.5 million domestic cume as the Julianne Moore starrer enters its third weekend in release.